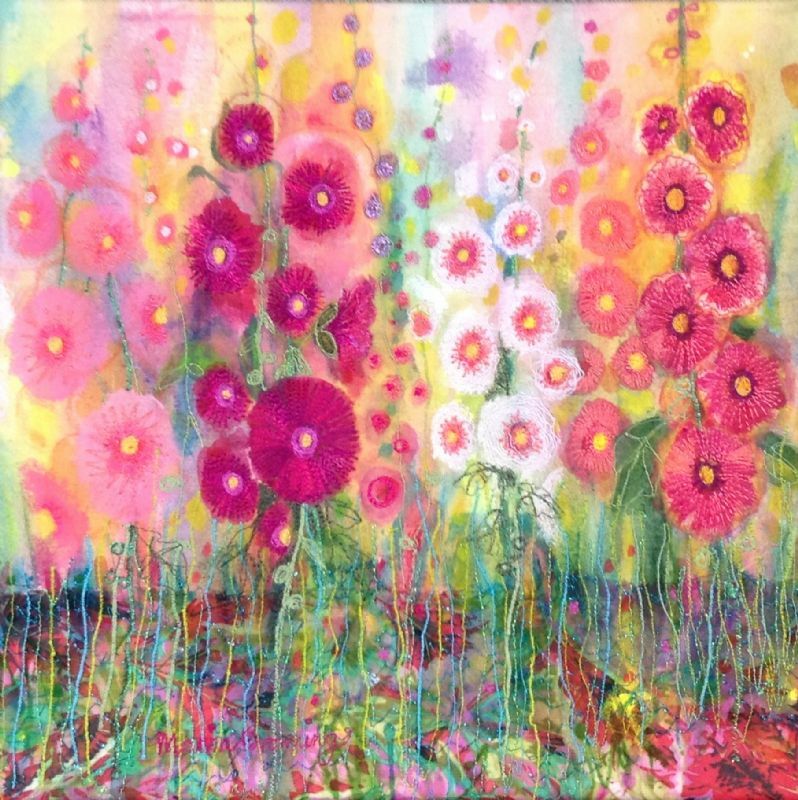 Hollyhocks 4 - Textile Art by Marion Browning.B.A. hons. Painted and Stitched. Stretched on to Canvas.